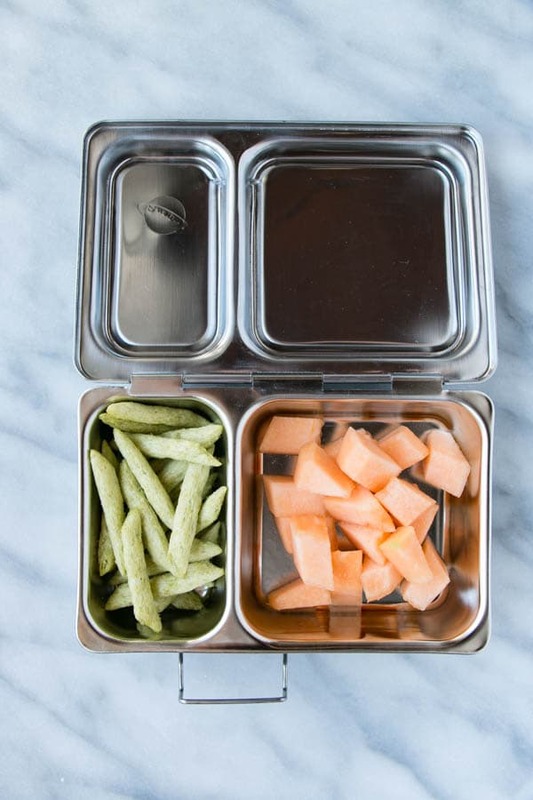 Back-to-school Week 1 with 5 new and fresh ideas for nut-free and healthy options for kids! 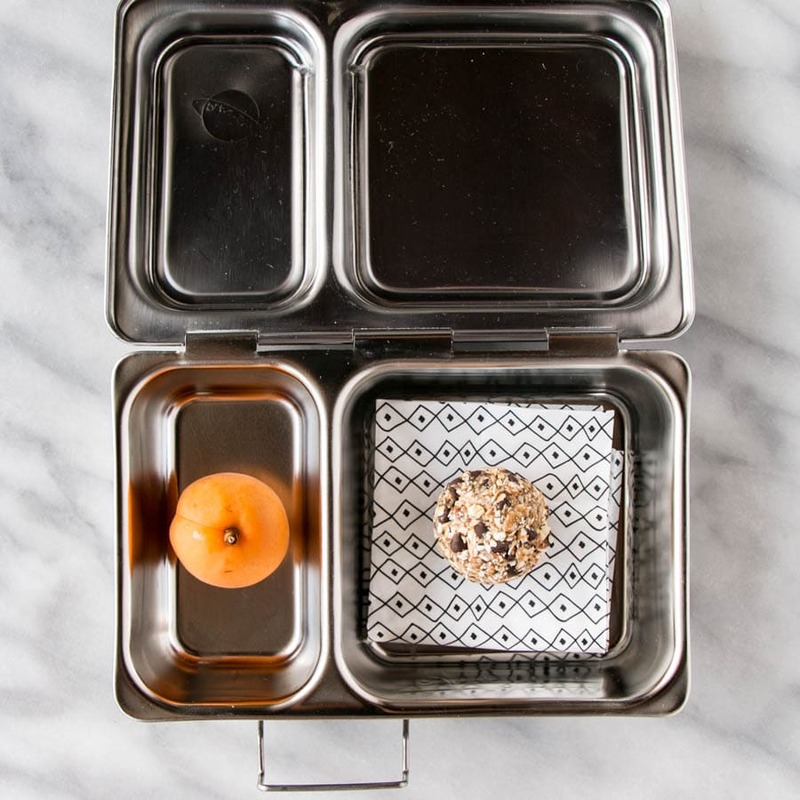 PLUS, 3 versions of super simple and delicious kid-friendly energy bites that can go to school! I feel like it’s WAY to early to be sending these posts into your mailbox, but alas the time has arrived for back-to-school. If I can ease even just one round of snack ideas for you, my mission is accomplished. I reached out to my favourites brands that I love and that I include in my twins preschool snacks all the time and 2 of my favourites were immediately onboard. When packing a treat for my kids I look no further than Love Child Organics for their cute organic ducks in the Tomato and Carrot flavour. My kids would eat these for dinner if I let them. Nut-free and gluten-free, Love Child Ducks are one of our staples where I can rest easy knowing they’re made from quality ingredients. Windset Farms was the other brand that I was terribly pleased to bring into this campaign. Windset Farms are a local hot-house farm operating in British Columbia. Besides eating delicious, fresh, and local produce, I love that Windset avoids the use of pesticides with their Integrated Pest Management system. This is a natural method of controlling pests, where they release predator “good” bugs, like ladybugs, into crops to get the freeloading “bad” bugs. What does this mean? Less pesticides in our food and in ours and our kids bodies. Windset grows their produce in a sustainable fashion using heat retention methods, water recirculation, and composting to name a few. My kids adore their Cameo Tomatoes, Mini Cucumbers, and Mini Peppers. 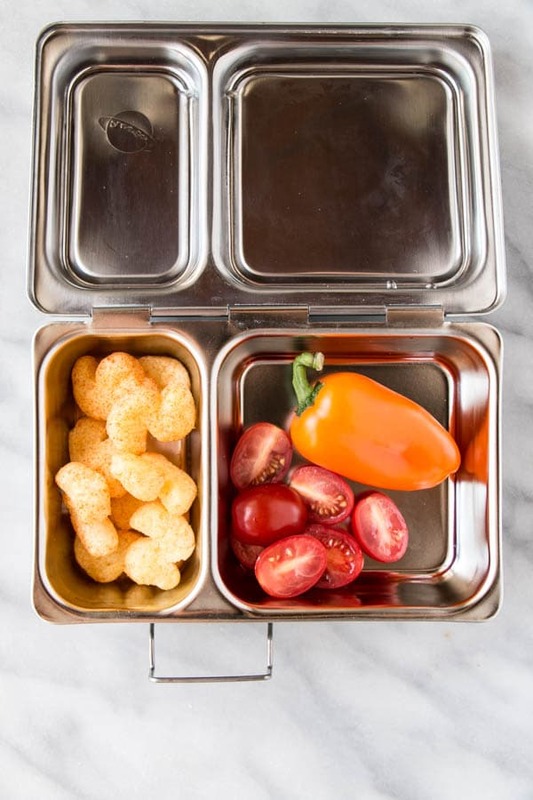 If there’s a way to get kids into veggies it’s by serving them mini versions. 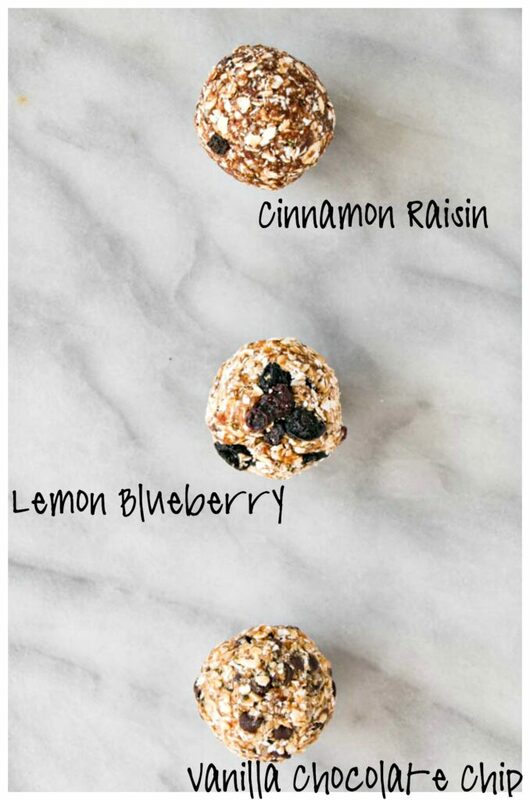 I love the idea of these kid-friendly energy bites. Make a batch at the start of the school year and park them in your freezer to pull out once or twice per week. No sugar, simple pantry ingredients, and they’re incredibly quick to make, and they’ll last you a couple of months. Plus, this filtering of snacks means no one gets sick of them. I like school snacks, which is weird I know, but let me explain. I like that my kids show up and I’m not at the table listening to them whine about whatever might be in front of them to eat. Even though my kids are decent eaters, life is not perfect by any means. So what do I do to combat poor eating habits? I change their snack all the time. The variety of food offers them the opportunity to eat the rainbow, get all the nutritional value possible, and they’re most likely starving since they’ve been at school for sometime so they’re probably going to eat what I’ve packed. If they don’t eat it, then they know what’s for lunch! Are some days better than others? You better believe it. 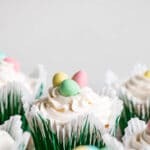 BUT, offering them different foods throughout the week or even month allows them to be exposed to lots of different foods, colours and flavours. Thus, getting them onboard with being better eaters overall. Now, I don’t give my cheese hating daughter cheese, but she will see apricots in her lunch even though she prefers peaches. Saltines, kiwi (HUGE vitamin fruit!!! Massive fibre and vitamin C producer), hummus (kids LOVE dips), and berries are all great options for kids snacks. 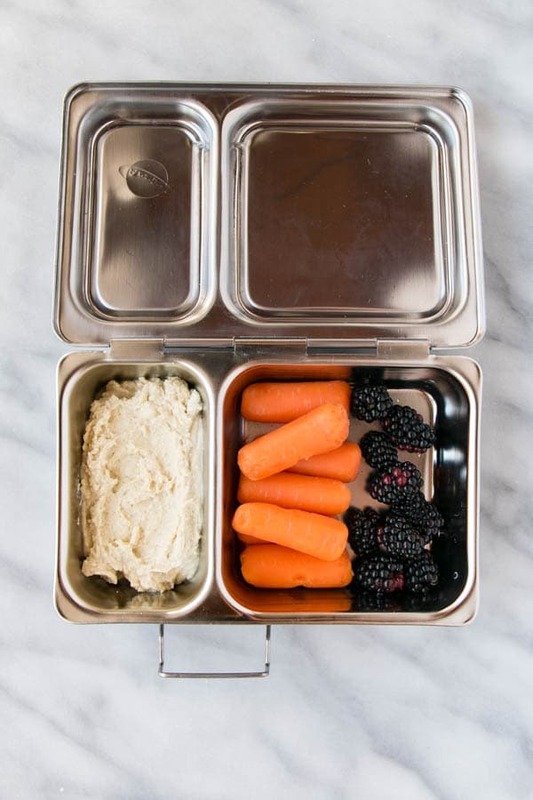 I added the carrots here so that food waste is minimized and leftovers get repurposed – smothered in hummus gives them a facelift kids like. Some might be surprised to see a whole apricot here. 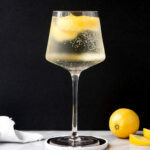 If your preschooler isn’t familiar with eating fruits with pits, cut it in half, remove the pit and rub a tiny bit of lemon juice on the cut portions, this will prevent the apricot from browning. Looking for a good way to look after yourself with all the back-to-school chaos? I’m still in love with these Mocha Momma Bites! 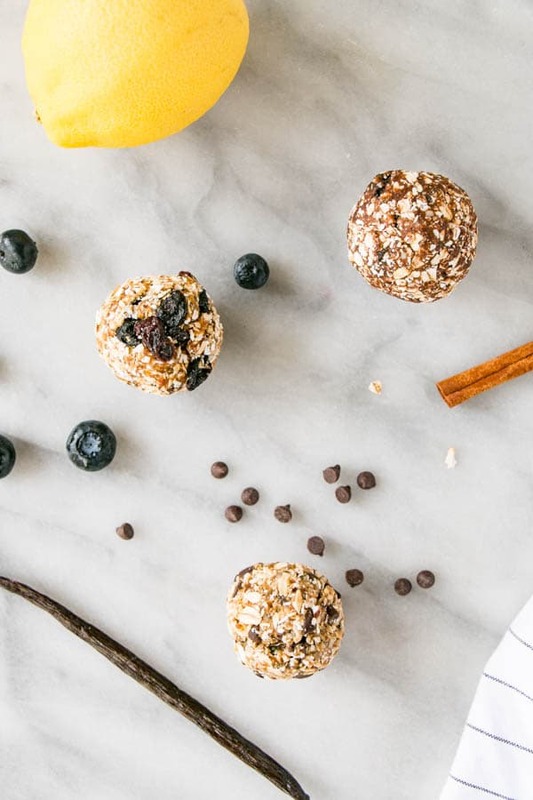 3 versions of super simple and delicious kid-friendly energy bites that can go to school! Place a few dates into a food processor at a time and blend until a paste forms. Place date paste, oats, hemp seeds, and flavours (either chocolate chips and vanilla, OR, lemon zest and blueberries, OR, cinnamon and raisins) into a large bowl. Mix by hand until all ingredients are well blended. Place bowl in refrigerator for 10-15 minutes to make mixture easier to handle. Roll mixture into 15-20 balls. I found using 2 tablespoons of mixture made the right size of bite for my preference. 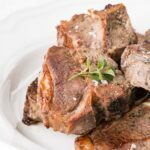 Refrigerate for up to 1 week or freeze for up to 3-4 months. 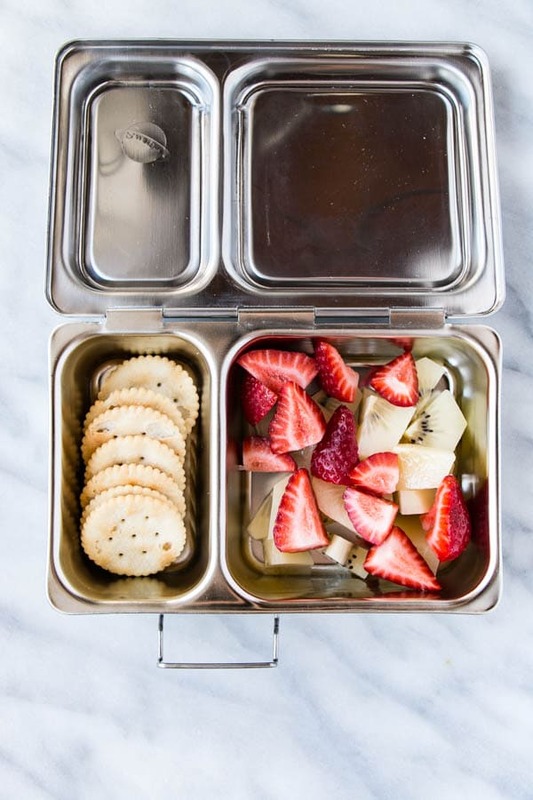 These are great ideas, I really love the lunch boxes! That's a great idea! Someone else commented on how they'd be great for teachers as well ... I originally didn't think about that so I'm happy you all are.